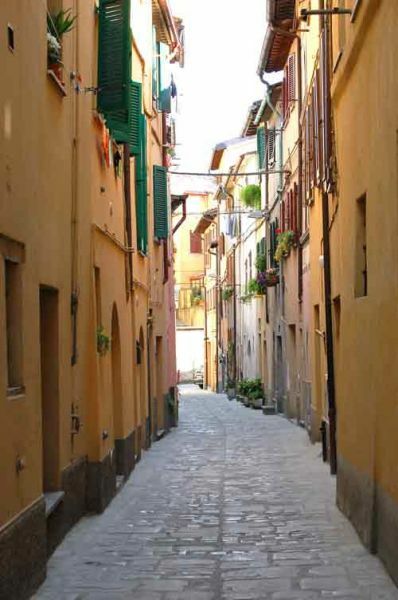 This town lying to the north of Perugia is situated in the region known as Museum Valley for its numerous magnificent historical monuments and art scattered throughout. Città di Castello is the largest town of this region in the High Valley of the Tiber. 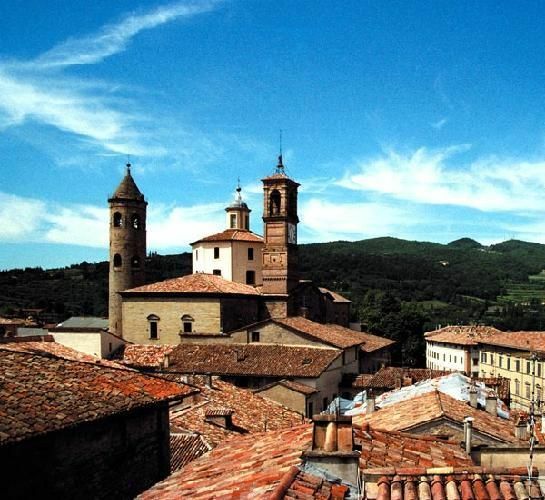 Once beyond the ugly suburbs you´ll reach the much more pleasant historic centre with several large buildings and one of the most magnificent art museums in Umbria, probably the second most important after the Galleria Gazionale dell’Umbria in Perugia. The city has been given many different names throughout the centuries: it was called Tifernum Tiberium by the Romans, the town of Happiness in the Middle Ages and now Città di Castello. All the same it is not a real city as it is lacking a castle. It is however a growing town with the paper, publishing, ironworks and furniture business flourishing throughout the town. It was Alberto Burri´s hometown and there are two galleries exhibiting a good part of his work. The town is proud to be the birthplace of of actress Monica Bellucci. The city is located in a valley and therefore flat making it easy for visitors to get around on foot. In the walled section of Città di Castello driving is banned. But outside the walls there is free parking. The Pinacoteca Comunale is housed in a stunning architectural monument, the 15th century Palazzo Vitelli alla Cannoniera. The picture gallery has a collection of pictures by the masters who lived here when it was the 2nd most important town after Perugia. Martyrdom of Saint Sebastian created by Luca Signorelli is found here as well as two pictures by Raphael. There is a booklet in English that provides detailed explantions of the most notable works. The staircase is frescoed with paintings of Apollo, the muses, the emperor and his erudite assistants, seahorses and cherubs. Cristoforo Gherardi’s frescoes of Hannibal, Caesar and Alexander the Great are also here. Alberto Burri’s main works are in the Palazzo Albizzini. The artist, who gained world fame with his contemporary art, both paintings and sculptures, had a major effect on New Dada, pop art, Rauschenberg and Christo and Jasper Johns. An old tobacco house mainly exhibits his large pieces. During the winter the warehouse is not open to the public unless there is a prior request. The Romanesque cathedral has unfortunately not been kept in good conditon; however it does still has some gems that should not be missed. Museo del Duomo houses stunning sacred artefacts from different parts of Umbria. The Palazzo del Commune was, for centuries, the seat of the government of the region. The Palazzo de Podesta whose façade was created by Nicola Barbioni is located on the Piazza Matteotti. The Chiesa di San Francesco built at the end of the 13th century houses a copy of Marriage of the Virgin by Raphael, a picture created in this town and taken to Milan by one of Napoleon’s generals who received it as an obliged present. The frescoed Chiesa di Santa Maria Maggiore constructed in the 15th century also deserves a visit. The Palazzo Vitelli a San Egidio, whose ceilings are frescoed in grotesque style and which was commissioned in the 16th century was the Vitellis´ private home. The 13th century Chiesa di San Domenico houses many frescoes by masters of the Umbria school. Tipografia Grifani-Donati stocks paper and artwork produced using the original methods as were used 200 years ago when this trade begab. There is a small but interesting museum. 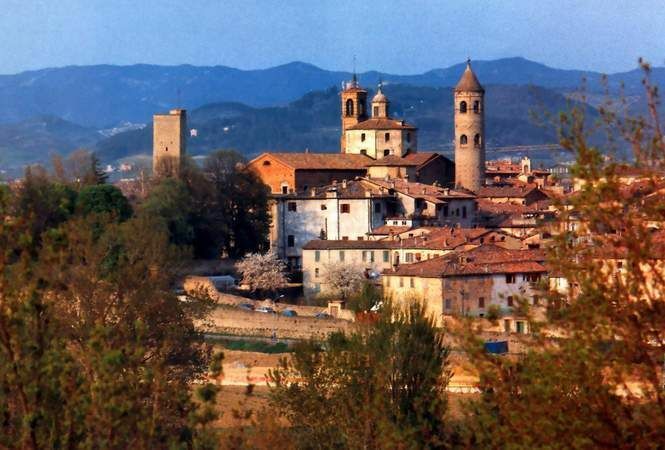 At the beginning of November Città di Castello has its festival devoted to truffles: the Mostra Mercato Tartufo e Prodotti del Bosco. Producers let visitors sample tartufo prepared in all manner of ways and other products from the woods such as honey, mushrooms and more. Teatro degli Illuminate puts on musicals and live arts performances. The summer performances of Cine Città di Castello Estate are held at the Pinacoteca Comunale gardens. Films for different ages and genres are shown, generally at weekends. Once a month Città di Castello plays host to The Retro Antiques and Old Things Market in Piazza Matteotti giving visitors a good chance to find unusual pieces. L’Osteria serves typical specialities of the region. Fish is always the special on Fridays as is traditional. Il Postale features Umbrian dishes with a nouvelle cuisine touch. Carp with hazelnuts and lentil and truffles dishes are a taste of what you can expect. BY CAR: nearby is the E45. BY TRAIN: to Perugia (duration: 1.10 hours, services: 16 a day), to Todi (duration: 1 ¾ hrs , services: 10 a day). Citta di Castello is on the Ferrovia Centrale Umbra route.